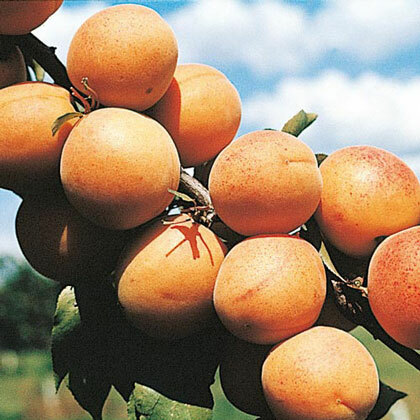 Mancurian Bush Apricot Tree | Gurney's Seed & Nursery Co.
Sets a bumper crop of red-blushed golden fruit that ripens in July. Grows 10 ft. tall and bears in 2-3 years. Plant two for pollination. 2 to 3 ft. trees. Zones 3-8. Zones3 - 8 (-30° F.). FruitSmall, plump, golden yellow fruit. Golf ball size and smaller. Soil RequirementsWell-drained, moist, organic loam soil. PruningBest to prune in early Spring. Thinning the fruit will give you more of the larger fruit. PollinatorPlant at least 2 trees for good pollination. CommentsSweet, juicy, freestone flesh. Tolerates heat and cold. Blooms before it leafs out. Very vigorous, thrives almost anywhere. Bears young and heavily. Self-fruitful but produces better in a group of 2 or 3. Fertilize after the tree has reached bearing age. Not grafted, it is a seedling. YieldApproximately 1/2 - 2 bushels at maturity. DepthPrepare an area 36 inches in diameter, clearing all sod and weeds. Work the soil 24 inches deep. Dig the planting hole right before planting deep enough and wide enough to accommodate the roots without crowding. 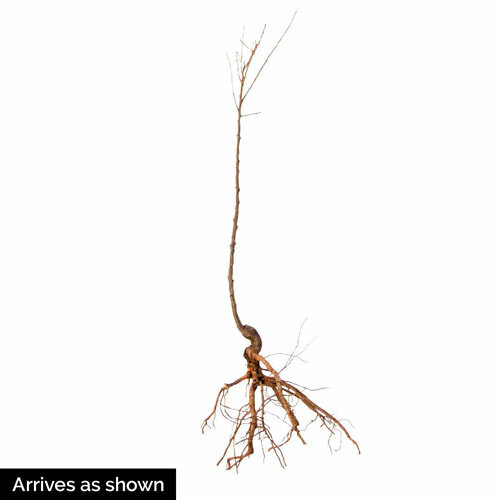 Plant bareroot trees 1 inch deeper than they were grown in the nursery.